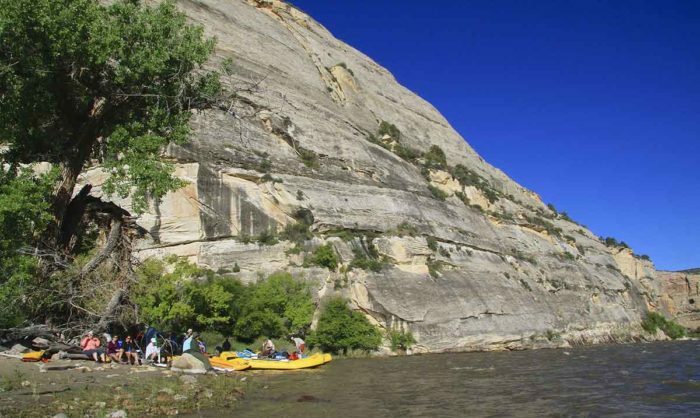 Rising from the Flat Top Mountains in northern Colorado, the wild Yampa River is one of the West’s best floats. It’s a recreational paradise pausing only briefly for a pair of relatively small storage reservoirs high in the basin that spill with spring runoff to retain the character of a free-flowing stream. 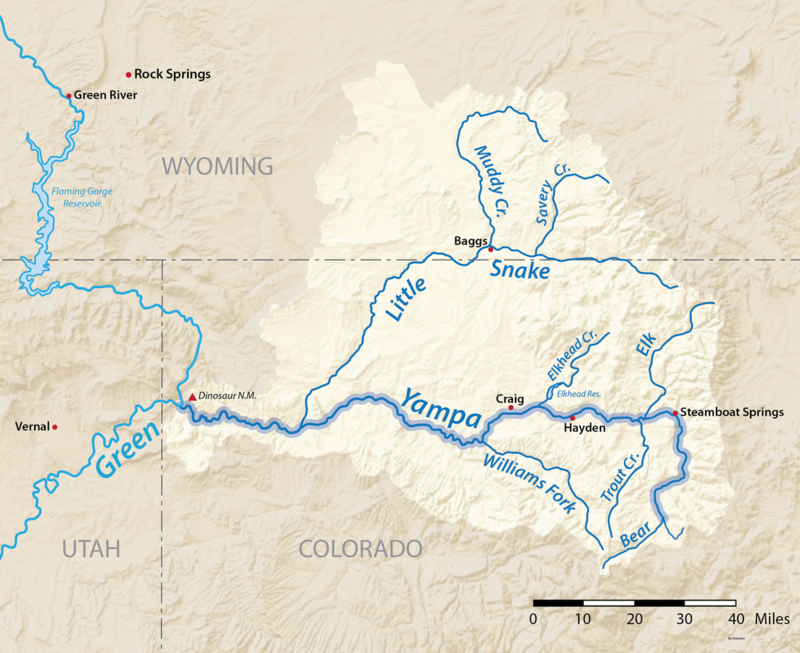 As a result, the unregulated Yampa runs free for almost its entire 300-mile journey to Dinosaur National Monument, where it joins the Green River at Echo Park. There it boasts one of the West’s most famous scenic floats at Yampa Canyon, which was the site of one of the nation’s most famous conservation battles when it narrowly escaped being dammed at its mouth in the 1950s. 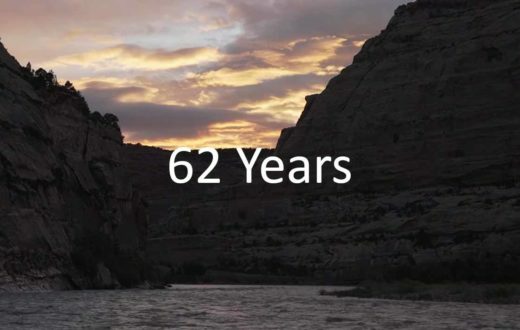 Had that proposed hub of the Colorado River Storage Project succeeded, it would have flooded the Yampa some 45 miles upstream to Deerlodge Park and the Green another 67 miles to Flaming Gorge Dam, and established a dangerous precedent of dam building in a national parks and monuments. 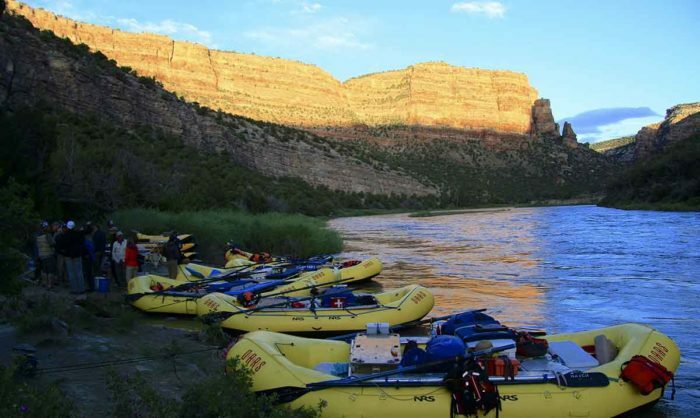 Instead, not one, but two of the world’s greatest multi-day floats remain (Yampa Canyon and Gates of Lodore on the Green). 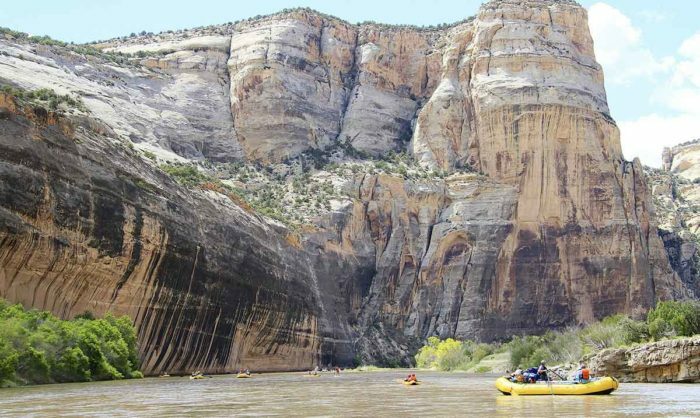 As the river passes through a 2,500-foot cut in the Uinta Mountains, boating Yampa Canyon is more about scenery than whitewater thrills. Rounded buttes and varnished slickrock walls punctuated by towering hoodoos dating back a billion years greet the fortunate few to win launch dates in the annual permit lottery designed to minimize impact to the gorgeous gorge. More intense whitewater can be found upstream in the Class 4-5 Cross Mountain Gorge or steep tributary creeks feeding the main stem near the resort town of Steamboat Springs, where a playful whitewater park hosts hundreds of kayakers, stand-up paddlers, and inner-tubers throughout the spring and summer. Between the waves, anglers enjoy world class trout fishing meandering through pastoral rangeland and into the rural agricultural towns of Hayden, Milner, Craig and Maybell. 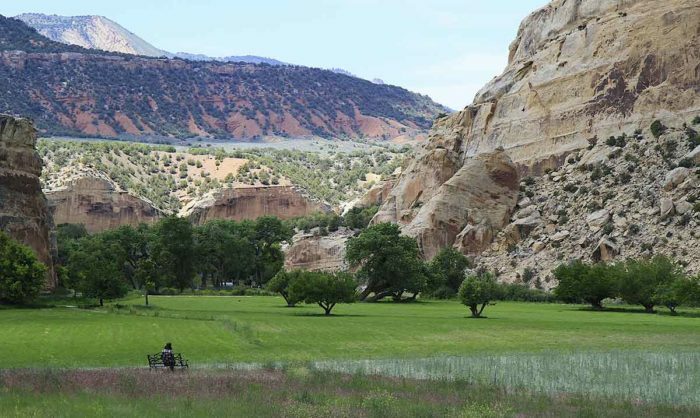 Yampa Canyon and Dinosaur National Monument provided the launch site for the river conservation movement when a proposed dam at Echo Park was defeated more than 60 years ago. Today, dam builders are looking farther upstream, including a potential pumpback project that would transfer water across the Continental Divide to quench the thirst of Colorado’s rapidly growing Front Range communities. Right now, the Yampa provides world-class recreation, is the source of a thriving agricultural economy, serves as the life blood for endangered fish species, and drives local economies from Steamboat Springs to Vernal, Utah. 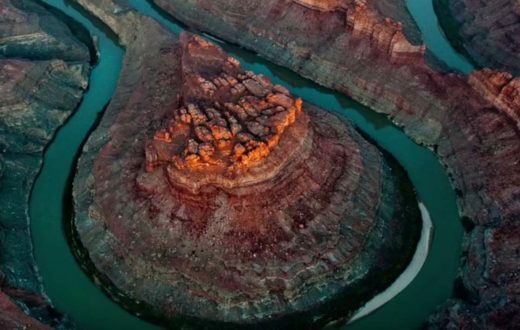 A large-scale diversion would have dramatic impacts on river function all the way to Lake Powell. Not only would it be an ecological disaster for the Yampa and the Upper Colorado River basin, it would cost billions of dollars, putting a huge burden on Colorado taxpayers and water rate payers. 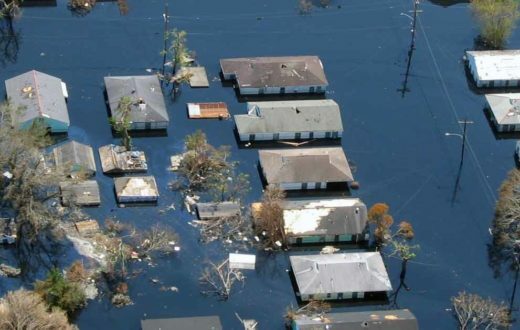 What's Next for the River? Beyond the Yampa’s known entities lie several hidden gems. 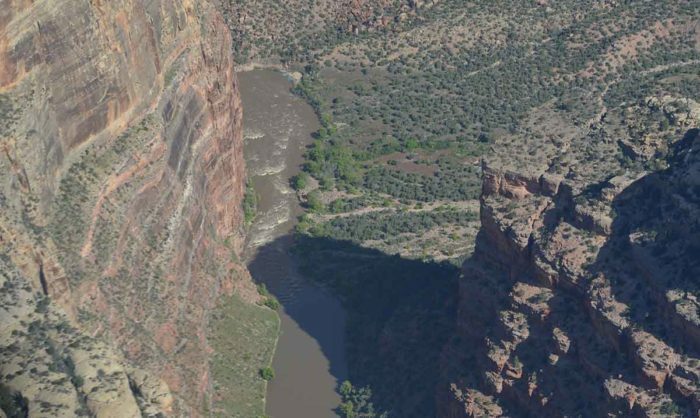 Little Yampa Canyon, Juniper Canyon, and Cross Mountain Gorge have all been determined as suitable for Wild and Scenic River designation by the Bureau of Land Management, prompting the Colorado River Conservation District to abandon conditional water rights for reservoirs that would have flooded those areas. Though still lacking formal W&S designation, they remain free to explore and are often visited by participants in the booming recreation economy surrounding Steamboat Springs. While water requirements for potential shale-oil development remain a threat in the face of climate change, drought-diminished flows, and warming water temperatures conducive to invasive fish species like smallmouth bass and northern pike, collaborative efforts to protect Yampa River flows continue to succeed. The Colorado Water Trust has leased water from the Upper Yampa Conservancy District to help bolster flows for anglers and tubers later in the summer. And a sincere effort is underway to permanently protect flows required for endangered fish survival in the Yampa by advancing in-stream flow appropriations in the lower reaches through Dinosaur. The Yampa River is one of a few river homes to four endangered fishes – the humpback chub, bonytail, colorado pikeminnow, and razorback sucker. The Colorado pikeminnow can reach six feet long and is one of the world's largest minnows. 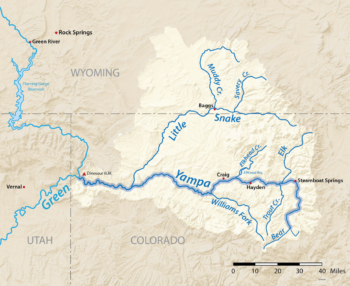 The Yampa provides about one third of Colorado’s contribution to the Colorado River. The Yampa’s peak recorded flow was 33,200 cfs at Deerlodge Park on May 18, 1984. Why Do We Need Wild Rivers? 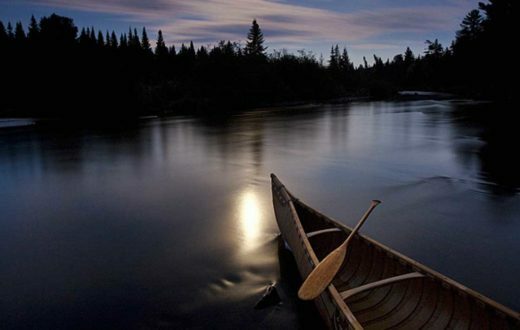 Here are some of the rivers that American Rivers is working to protect.